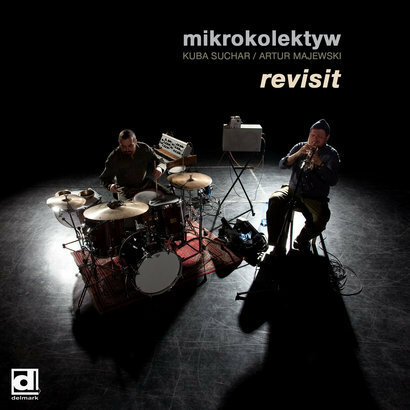 Since their critically acclaimed debut, "Pustyni i w puszczy" (2008) they have been obstinately fighting for their own piece of the Polish jazz scene. 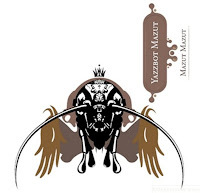 Now they have a chance to confirm the success of their first record, since the band's new album, simply called "Mazut Mazut", is to be released in May (this time recorded by a four-person ensemble). Piotr Mełech (clarinet) and Dariusz Dobroszczyk (keyboards) have left the band. The gents' place has been taken by the charismatic Lena Romul (alto saxophone), known for her collaborations with Wojciech Pilichowski's band, Presidents of Soul, Niklas Muller, as well as for her own Lena Romul Quintet. The new material sounds fresh and more mature, the band has made a step forward, confirming that the debut album's success was no coincidence. The changes in the band's sound can be heard from the very first track; in the beginning we get harsh guitar and alto sax parts based on a solid work of the rhythm section. The Yazzbots now more confidently and decidedly reveal the grit of their music. Solid compositions, allowing for a little bit of verve, fluently turn into improvisation. The album, track by track, reveals all possible combinations of duos, trios, and solo parts, which only enriches the material. Such tracks as the mesmerising "Lama Owca" or the powerful "Siódemka Romana P." are true gems. It is, however, an organic record which reveals its true value when listened from beginning to end, putting the listener into a trance. The significance of some releases transcends the music. Such is this case. 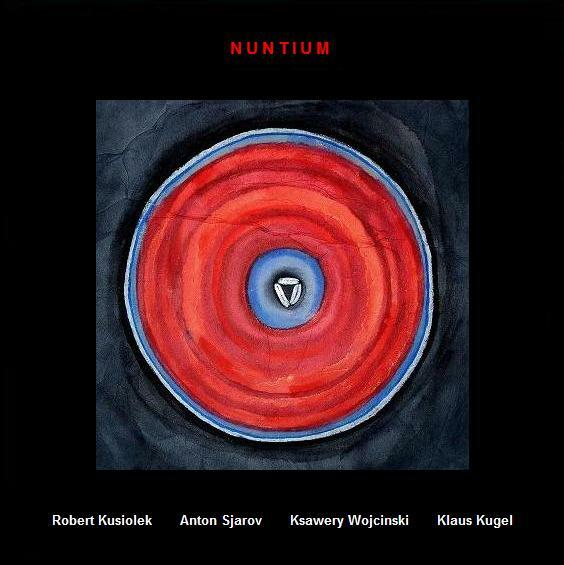 This cd is, and will be, the last one recorded by Andrzej Przybielski. A true artist if there ever was one, legendary if somewhat obscure character of polish jazz, always underrecorded, never caring much about publicity, recording deals. Hero of whole ton of anectodes, unpredictable musician who would thrive in improvised situations, didn't like the recording studio, hated rehearsals, didn't care about the 'professional' side of music making but lived as freely as free was the music he loved. Here he's introduced by a Oles brothers rhythm section as they share in the liner notes some the experiences they had with Andrzej Przybielski. He played as a guest with their first band - Custom trio, he recorded with them the first ever session as a leader (released as "Abstract" on Not Two in 2005, he was 61 at that point!). It was his wish to record this concert, while Oles brothers hoped to do a studio session to present Przybielski's new compositions. This, unfortunately, will never be done. Which makes it only more fortunate that this gig was recorded. Andrzej Przybielski posesses a bautiful, masterful tone, plays with clarity and immagination that is reserved only for the greatest artists. He leads the way with non-chalance, swagger and elegancy. His plaing is passionate, free, wild yet somehow relaxed, light never forced, never straining himself, yet full of spiritual energy that reminds of Don Cherry. And while the soloing is free, they never loose touch with the melody and rhythm inclined by the composition. And as much as Przybielski plays free-jazz his compositions are just jazz, melodic and simple, filled with jazz tradition. 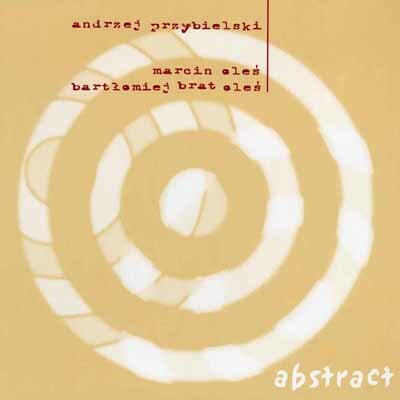 "Afroblue" and "Epitafium dla Jacka" were featured on "Abstract" cd, and it's great to see how creative is this group as they take the tunes into completely other regions, that's why Przybielski didn't like doing 'takes' - as each song performance would be completey different from another. "Guru" is a bit folskich theme that was recorded previously by Andrzej Przybielski with Sing Sing Penelope group. The album features also the frree improvisations both entitled "De Profundis". The second one, final track, starts with a ominous, meditative mood (great, harmonical arco by Marcin Oles), ends with "Afroblue", fittingly closing the braces form of this album. The rhytm section follows the leader without hesitation (liten to them swing in "Afroblue"), providing rich and melodic background (and a couple of nice solos too), but it's the Przybielski's trumpet that takes the spotlight, and his tone is something pure and deep, something to admire. Just listen to his solo in "Guru", or the focused improvisation he leads in the second "De profundis", actually listen to it all. This is pure and joyfull jazz, free at mind, not something that has never been done before, but on the other hand, something that can't happen too often. I said that some releases mean more than the others for non-musical reasons. It's true that there's a historical value to this recording that is hard to overestimate. This is the final recording of an artist who many will never hear about, yet who could have been now mentioned along the greatest European trumpet players like Tomasz Stanko or Enrico Rava had he ever wanted to take the spotlight. But actually that doesn't add or take from the fact that this is simply and plainly a great music. Enjoy it. Andrzej Przybielski died on the 9th Febuary of 2011. 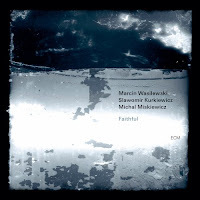 Recently I have stumbled over an interesting music (link here) recorded by avantgarde flutist Dominik Strycharski and double-bassist Jacek Mazurkiewicz. Although I know Strycharski from numerous recordings, most of all from very interesting "FAQ" (2009) by his band Pulsarus, as for Jacek Mazurkiewicz I knew nothing about him up to this moment. Fortunately we got in touch with each other and here is short profile intended to acquiesce you with this immensely talented artist. Jacek Mazurkiewicz is fascinated by avantgarde music and has had already opportunity to cooperate with such prominent players as Andrzej Przybielski, Mikołaj Trzaska or Patryk Zakrocki (known from fantastic duo SzaZa with Paweł Szamburski). In terms of style Mazurkiewicz may be easily put among such illustrious exponents of young Polish avantgarde double-bassists as Ksawery Wójciński or Jakub Cywiński. He is focused on improvised and free side of jazz, he is experimenting with groove, his pulse although deep and vibrant is restless, creative, searching. 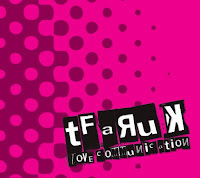 Polish listener will smile just from seeing the name of this band ("Tfaruk" being as incorrect as possible way of spelling "cottage cheese") and I guess this form of anarchic absurd humour (that shows up also in the titles) is easily associated with the yass scene - polish jazz revolution movement of the 90's. Both Tomasz Ballaun, the founder of the band, and one of the guests - Tymon Tymanski are strongly connected with yass movement indeed (Tymon being in fact its spiritus movens). Still there's a lot of fun for non-polish listeners here too. The band kicks right into an old-school groove and tight horn arrangements with the first track, with a Latin-funk twist to it. The hard hit rock groove catches on with the "Mistrz kierownicy ucieka" (Polish title for the cult car-chase movie "Smokey and the Bandit") and there's more fun rhythm chasing coming with "Miłość zwycięża kiełbasę" ("Love Wins Over Sausages"). The catchy and driving grooves pair nicely with the tight horn riffs and make a nice platform for some nasty soloing by the horn players (fat saxophone sound, crisp trumpet, round and sensual bass clarinet). 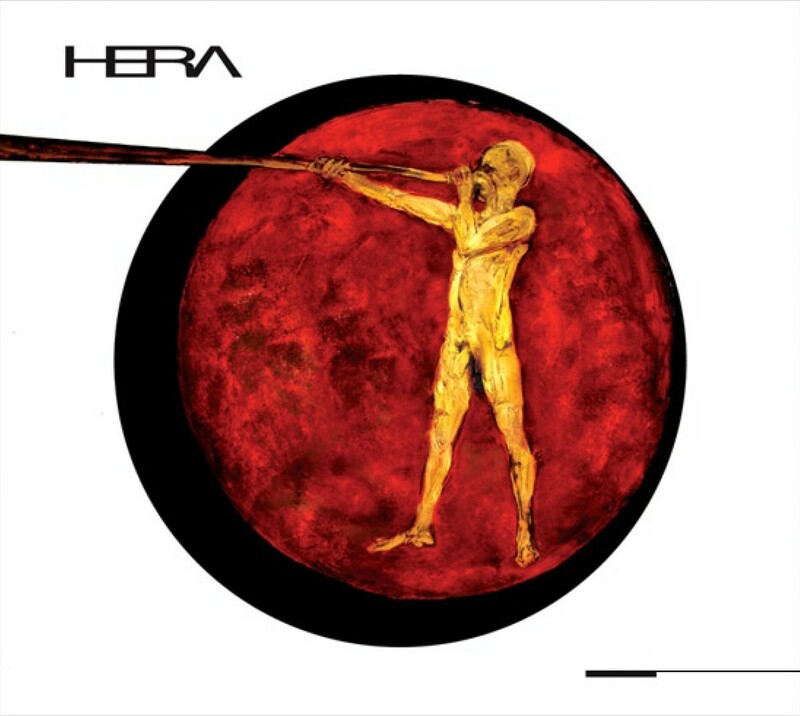 The latter half of the album explores less retro, more nu-jazz territory, with more electronic effects, some loops and samples, fast drum'n'bass drum breaks (as in "Dla Taty") working more on the idea of creating improvised music with a steady and trance rhythmic base ("Lhasa 2008" is more or less in the same vein). Much less satisfying in my ears but it's no surprise really - I love funk but don't appreciate nearly enough the electronica-club scene to get a kick out of this kind of jazz (although the tracks have their moments - like a nicely done horns arrangement in the "Lhasa 2008"). The band gets back on the acoustic and groovy track with the last track of the cd "Gdynia" that starts with the gentle bass clarinet intro, follows into a klezmer tune with a slow beat (baritone sax gives the riff a great kick) and delivers the most adventurous and opened solos of the album, and ends with the short and frenzy car chase (police siren in there). 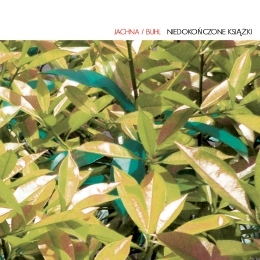 A recent and unbelievably exciting discovery is the second release from the duo Jachna & Buhl, Niedokonczone Ksiazki (translated: Unfinished Books). Utilizing elements of jazz, electronica, early prog and found sound, Jachna and Buhl have created a wonderful and riveting document of rhythms, tones and ideas that will have you decidedly beside yourself as to what to call this - Jazz? Avant Garde? Third Stream Jazz? Electronica? World? Or what? There are places on Unfishised Books, where you may hear influences of Faust, My Bloody Valentine or Jon Hassell. I have been listening to this record non-stop for the last two weeks (twice a day in some cases). In a similar vein to Mikrokolektyw from last year, this duo consist of drums and trumpet/electronics. But that's really where the similarities end. Jachna/Buhl employ their acoustic instruments with limited electronic manipulation. This gives the record a raw feel but also adds an experimental quality when the electronics are introduced. On "Modlitwa", the duo utilize all the space available and conjure a rich and expansive acoustic dialogue that is both exciting as it is exploratory. "Bernstein's Mood" rolls out with a funky repetitive pattern from Buhl and phrasing from Jachna that could fit neatly along side a piece of West Side Story (if West Side Story were an experimental musical). 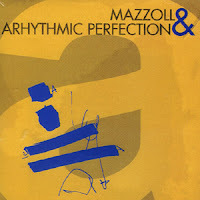 "Przyplyw Odplyw" has an ambient-dub quality to it that is reminiscent of mid-period Jon Hassell. It's a slow developing piece that is mainly dominated by Buhl's rhythmic passages. Jachna's performance is layered in beautifully. "Przyplyw Odplyw" moves upward and out but still maintains a melody, expression and direction that holds your interest throughout. Both musicians along with the electronic elements deployed in this piece are truly sublime. "Zmeczony Los" closes out the session with a slow moving rhythm, manipulated trumpet and other found sounds that feel more ethnological in structure than jazz based. The drums feel very tribal and Buhl's playing is eerie and emotional. It's ambient, dub, experimental and electronica rolled into six minutes of solitude. This is one of those records that is always up our alley at JazzWrap. Wojtek Jachna and Jacek Buhl have created an album that is strikingly different than most of the material you will hear this year. Fusing various elements of the musical spectrum, they have maintained the acoustic richness of their instruments with the far-reaching spirit of third stream jazz to create an album--Unfinished Books -- that is worth every dollar, euro or pound it takes you to find it. Highly Recommended. Adam Baruch (check his music boutique www.jazzis.com) on best archive recording of last year. Highly recommended! This wonderful album collects all the existing recordings by the early Jazz quartet led by Polish violinist / saxophonist / composer Zbigniew Seifert, a world class virtuoso who was unfortunately taken away from this world by the ever-so-cruel cancer at the ridiculous age of 32. Seifert discovered Jazz while being a student at a music high school, where he studied classical music. Immediately stricken by Jazz, he started to live a double life, continuing his degree studies as a classical violinist and in parallel playing and later leading his own Jazz quartet. Seifert almost immediately moved into modern Jazz, even ultra-modern at the time, as his immediate model would be the late period John Coltrane. Seifert's hypersensitive and well trained ears were able to follow Coltrane's convoluted music note by note, thus enabling him to absorb his style. In order to emphasize the separation between his classical violin training Seifert played the alto saxophone exclusively at the early stages of his career, returning to the violin only much later, a move which gained him his international recognition and success, cut short soon after by his untimely death. 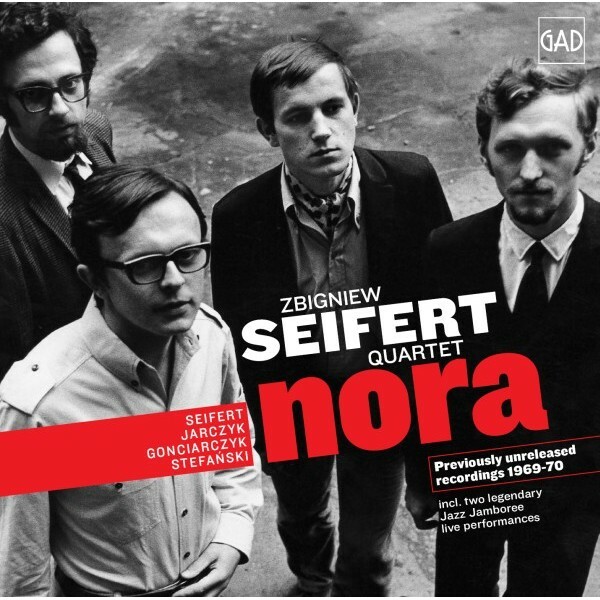 By the end of the 1960s Seifert was a permanent member in the Tomasz Stanko quintet, Poland's pioneering Free Jazz outfit at the time, as well as leading his own quartet with pianist Jan Jarczyk, bassist Jan Gonciarczyk and drummer Janusz Stefanski (who was also a member of the Stanko quintet). The quartet never recorded an album for the "Polish Jazz" series, but three of their performances were recorded by the Polish Radio and are presented on this album: The 1969 concert at the Jazz nad Odra Festival and the 1969 and 1970 concerts at the Jazz Jamboree Festival – all together eight tracks, only two of which (taken from the 1969 JJ) were previously released on record in a various artists compilation entitled "New Faces In Polish Jazz" (Polish Jazz Vol. 20). Seifert composed five of the tunes, Jarczyk one and the other two are standards. The music is just sensational, mostly almost Free, with long and well developed solos by Seifert and Jarczyk, with superb backing by the rhythm section. 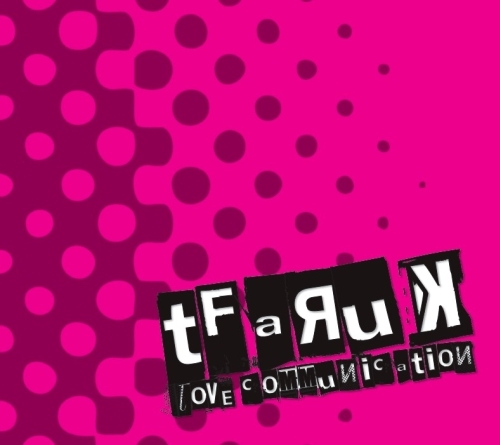 That kind of music would fit perfectly well anywhere in the world at that time, but taking into account the fact it comes from Poland, a country deep beyond the Iron Curtain with minimal exposure to the latest trends and under a Socialist regime, which does not tolerate artistic deviance, it is an absolute miracle. The historic importance of these recordings is invaluable, especially since the quartet wasn't able to secure a proper studio recording in a reality when the only record company on the market was state owned and run by party officials. Thank God for the Polish Radio archives and the initiative to compile and release this album. Although "too little too late" applies here, so does "better this than nothing". I'll add that in order to fully appreciate this music in proper historic perspective and its meaning in the history of Polish (and Eastern European) Jazz, I'd recommend reading the recently published Zbigniew Seifert excellent biography entitled "Man of the Light", by Aneta Norek – alas this privilege is limited to people who can read Polish (unless the book gets translated into English, which it truly deserves). In the meantime savor this fantastic music, as it lost nothing of its intensity over time. A must to all Polish Jazz lovers! 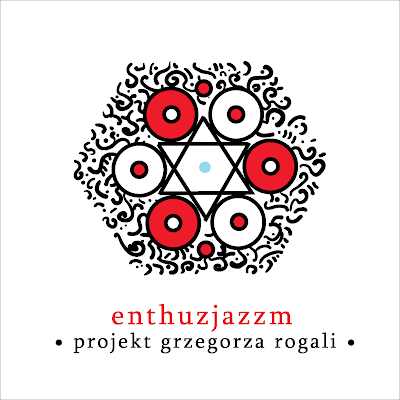 Since I have my own broadcast on radiojazz.fm (every Tuesday 21.00-22.00 and repeats on Sunday 17.00-18.00) I plan to dedicate one hour to Polish young jazz guitarists. There are many of them and you may find reviews of their records on our site: Przemysław Strączek ("Light&Shadow"), Rafał Sarnecki ("Madman Rambles Again") or Daniel Popiałkiewicz ("The Hope For Tomarrow"). I have just name few players, there are more and although they play excellent jazz indeed it is in all cases mainstream while my heart go closer and closer to avantgarde. That's why once I started to listen to Maciej Grzywacz "Black Wine" I immadietely become excited becouse from very first notes it is obvious that though deeply rooted in mainstream jazz tradition he flirts on this CD with more twisted and broken rhythms. Before I move further on description of music let me say few words about musicians. Maciej Grzywacz, guitarist, is well known on Polish scene both as sideman (he collaborated with Olo Walicki, Wojciech Staroniewicz, Piotr Lemańczyk or Jacek Kochan to name just a few) but also has four albums recorded as a leader. Apart from "Black Wine" (2011) there were "Things Never Done" (2006) recorded with pianist Avishai Cohen, "Forces Within" (2006) with percussisis Tyler Hornby (check his "Able To Fly") and "Fourth Dimension" (2009) with Maciej Obara. 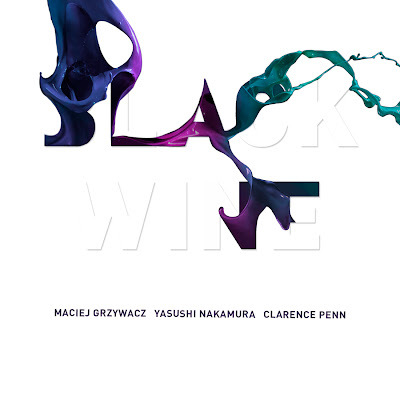 As for Yasushi Nakamura and Clarence Penn, they are both high quality players, both residing and working in New York, with Penn being much better recognized by me from his previous projects as creative and energetic force in rhythm sections he played in. Let's go back to music: as title suggests it's as elegant, refined and deep as good wine could be - check calm and relaxed composition by Maciej Grzywacz titled "Brothers". But as we all know wine is not entirely about tranquility and that's way I also like "Zoom Zoom" and "Black Wine" both uptempo and composed by Clarence Penn where you can hear some bop, groove and even funky accents, all so characteristic for New York style. Please check this site for more information and music from this album: http://www.blackwinecd.com/en and this site: http://tomirriphotography.blogspot.com/ for excellent photographs of these three gentlemen playing together. Paweł Kaczmarczyk about his new record!!! Paweł Kaczmarczyk, one of the most talented young Polish jazz pianists, revealed a bit of his plans for future. He is going to enter famous Tokarnia studio in September to record his third album as a leader, after great debut "Audiofeeling" (2007) and next "Complexity In Simplicity" (2009) that simply smashed Polish jazz scene scooping all possible prizes and acclaims. "Complexity In Simplicity" was recorded for German label ACT and we are happy to hear that this cooperation continues securing high level of production and availability of this disc throughout the world. It featured 12 musicians altogether so it is kind of surprise that this time Kaczmarczyk invited only two musicians: drummer Dawid Fortuna and double-bassist Maciej Adamczak. He aims at more focused, distilled and essential sound in session which program is breathtaking indeed since he intends to divide it into three different themes. First, right after entering studio, he wants to record fully improvised material. Second, he will play his own compositions like "Crazy Love" which you can find in YouTube film down under this post. And third, his adaptations of Ray Charles tunes which were entirely rewrritten and remodeled by Paweł. Out of these three extensive sets, material for his new album will be chosen, probably in cooperation with Siegried Loch, a boss of ACT company. All this sounds fantastic and I expect very inspiring music from this young virtuoso. One album after another consequently Kaczmarczyk chisells his own style, easy to recognize from very first notes he plays, and even more during his energetic appearances in concerts. 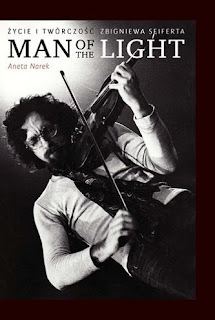 "Man of Light: zycie i twórczość Zbigniewa Seifert"
This fascinating book is the first biography of the European Jazz icon, Polish violinist Zbigniew Seifert. Born in Krakow, Poland on June 7, 1946 Seifert was a completely unique phenomenon, a musical Genius and a wonderful person and his life´s story, tragically cut short by cancer at the ridiculous age of 32 (he died February 14, 1979 in Buffalo, USA) is an epic of Hollywood proportions. Like the young Icarus, Seifert soared through the sky with his music, but his destiny was for his lofty plans to remain unfulfilled. Seifert´s contribution to Polish Jazz as a leader of his own quartet (late 1960s) and a member of the Tomasz Stanko quintet (early 1970s) is colossal. He was a pivot figure in the transition of Polish Jazz from the early phase dominated by American Jazz tradition into the new European Jazz, emancipated from the restriction imposed upon the music by earlier concepts. His international (first European and later also American) career in the mid to late 1970s, which was his most illustrious, although heavily disrupted by his illness in the last three years of his life, is one of the highlights of European Jazz, of which he became one of the brightest stars. The author meticulously collected a vast amount of facts, documents, letters, photographs, articles, record reviews, interviews and other biographical data and wove them into a lucid, chronological story, which is easily readable and highly educational. She avoids commentary (or keeps it to the minimum) on matters which had political, sociological or other implications, keeping the text on subject at all times. The musical criticism in this book is limited to quotes from other musicians or articles / reviews quoted. There is no serious musical analysis present, neither from the musicological nor historical point of view, which is perhaps for the good of the book as it stands. Such highly professional writing might have turned the book into a much more difficult reading experience, reducing the potential readership to a selected group of specialists. This book is intended for a wide audience, for people who knew him personally (like myself), people familiar with his music and especially for the young generation of Jazz musicians and fans, who definitely should be aware of this great man´s heritage. The fact that the book was published in polish unfortunately limits the accessibility to readers familiar with that language, but I do hope this will be remedied at some point, as it definitely deserves to be available to all Jazz fans around the globe. Thank you Aneta for your hard work, inspiration and dedication needed to complete this project! But music lives on...here Seifert great tune "Man Of Light" in fantastic modern interpretation of The Magic Number which consists of Zach Brock on violin, Matt Wigton on bass and Frederick Kennedy on drums. Fantastic!!! Polish jazz radio broadcoast at radiojazz.fm on Tuesday 9.00-10.00 p.m.CET!!! From time to time I will advertise on this blog some of my radio broadcast especially if they will be dedicated to Polish jazz. 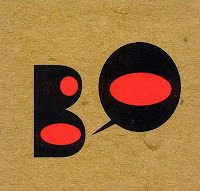 On this Tuesday 9.00-10.00 p.m. CET I will speak about best Polish free jazz recordings as of beginning of this year. Though my commentary will be in Polish, I try to keep it short and there will be plenty of excellent music created by Polish and international artists. 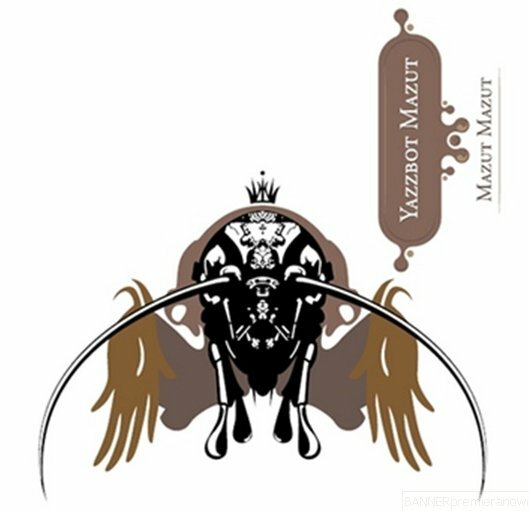 Strycharski and Mazurkiewicz music available free!!! GAD Records issued last year their first CD which was one of the most exciting archive recordings of last few years. 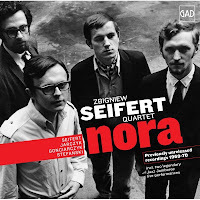 Titled "Nora" (check its review on our blog) brought to us music of Zbigniew Seifert Quartet: very significant band on Polish jazz scene in late sixties last century yet one that unfortunately did not leave even single one recording!!! All due of course to Moon economy in Poland during communist regime. Fortunately economic system has changed in Poland and thanks to such passionate jazz lovers as Michał Wilczyński who is founder of this company, these gaps in Polish jazz history are gradually filled. This is the 3rd album released on the ECM label by the great Polish piano trio, led by pianist / composer Marcin Wasilewski with bassist Slawomir Kurkiewicz and drummer Michal Miskiewicz. The trio used to be called Simple Acoustic Trio and released several albums under that name before someone (at ECM?) decided to put the leader´s name up front, which seems hardy fair or appropriate after so many years they played together under that name. But setting such trivia as marketing tactics and ego trips aside, the music made by these wonderful musicians is as usual outstanding. 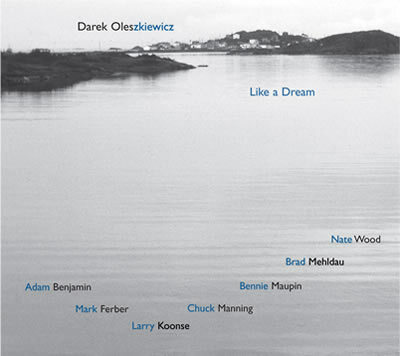 Of the ten tracks present here, Wasilewski composed five and the others are by such diverse composers as Ornette Coleman, Hermeto Pascoal or the German composer Hanns Eisler. The music is played with flair and panache, but slightly lacks the adventurous streak I personally always look for. One might have thought that after years of playing with Tomasz Stanko, some of his magic would have rubbed off. Nevertheless both technically and emotionally this is as near perfection as one can expect from a "well behaved" album, and the above comments do not reflect negatively on this beautiful piece of music and the exceptional music-making captured herein. Always melodic, even in the heat of improvisation, with a wonderful support from the bassist and gentle but accurate input from the drummer, this music simply sounds great, especially when so well recorded. Listeners, who enjoyed the trio´s previous output, will definitely not be disappointed, with a good chance for many new followers discovering them here. Going back to subject: weight of musical education eventually became a burden for Polish jazzmen when scene was dominated by virtuoso players like Piotr Wojtasik, Krzysztof Popek, Włodek Pawlik, Andrzej Jagodziński, Bogdan Hołownia, Robert Majewski and many others. Fortunately there were musicians, some of them amateur or self-taught like Mikołaj Trzaska, who injected some chaos and spontaneity into this conservative and rigid structure, and in this way yass was created in Poland, somewhere around mid-90ties. Of all this rejuvenating (though short lived) movement this record may very well be the most interesting or containing music craziest and least predictable. That's probably why I love it so much irrespective years that passed and other great free jazz recordings that were created in Polish jazz since then. It brings spontaneity and gaiety rarely found in our over-Chopin-ated, sad and mournful musical culture. It traces it roots back to mid-size jazz combos of such freaks as Charles Mingus who is one of forefathers of what is now called "collective improvisation". Fantastic text by Stephan Moore from http://jazzwrap.blogspot.com/ dedicated to great Polish trumpeter Andrzej Przybielski. Thanks Stephan! Andrzej Przybielski was one of those truly underrated musicians that never got even close to the word "recognized" in the wider public. For probably those outside Poland and parts of Europe, the name Andrzej Przybielski will unfortunately mean nothing. But, he is revered in his homeland and his passing this February will touch the artistic community in Poland for years to come. Fellow Polish trumpeter, Tomasz Stanko has also acknowledged Przybieslski's legendary status. Przybielski's playing might be more fierce and adventurous than Stanko. He could turn phrases like Woody Shaw, Freddie Hubbard or Don Cherry. His loss is the entire jazz community's loss but hopefully in this digital age his legend can grow and be cemented. Andrzej Przybielski, while having a pretty lengthy catalog, didn't record with any great frequency. Only in the last decade did it seem like he was really recording at a decent pace. He began playing more in the avant garde style in the 60s and 70s. As he got older his playing became more statesman-like but still had a distinctive bit to it. In the last few years he paired up with Europe's most prolific rhythm sections, the Oles Brothers, and formed a trio that recorded two albums under Przybielski's name, and two under the Oles Brothers direction as Custom Trio. Abstract (Not Two Records, 2005) is a perfect introduction to Przybielski style. Abstract features moments of hard bop mixed with free jazz that form a beautiful and crisp document for a group with evolving ideas. You could compare the youthful injection from the Oles Brothers to that of the Marcin Wasilewski Trio for Tomasz Stanko. The energy featured on "Ride" forces the group into exchanges that are both explosive and beautiful. Przybielski and Bartlomiej demonstrate a brilliant piece of interplay midway through "Ride" that will undoubtedly have you stunned. The classic "Afro Blue" also gets a deep rendering which is drastically different from both the Mongo Santamaria original and the more well-known John Coltrane version. 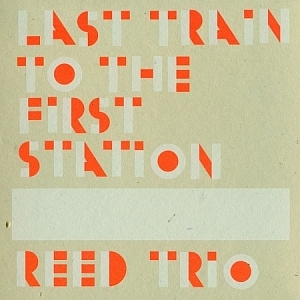 The trio really deconstruct this piece with a great deal of improvisation and post-bop vision. Elsewhere, "Epitafium dla Jacka" illustrates a more relaxed nature to Przybielski's playing that sets him alongside Miles Davis or even Clifford Brown. It would be six year later that we would get the chance to experience this trio again. This time, in the form of a live album De Profundis (FenomMedia, 2011). De Profundis features tracks from Abstract, including a boisterous version of "Afro Blue" that really brings out the power of Marcin's bass playing. The trio is sublime form on this evening. There's consistency, but also a good deal of improvising throughout. The members have played with each other so long that you can tell they know the other's next move. The title track screams with an immediacy and beauty that you might not get on the previous album, and later develops into a bit a of call and response between the members and then a gentle fade out. "Guru" is a midtempo blues tinged number that has an incredibly introspective quality to it. The album closes on a more chamber/improvisational version of "De Profundis" that sees the trio moving in various directions but still keeps a distinct harmolodic tone that will encapsulate the listener until the end. Disclaimer: First of all let me warn that I may not be objective as far as this recording is concerned since my own gusto has moved recently very significantly towards free jazz and avantgarde. 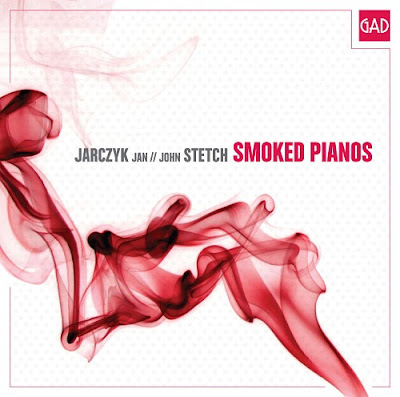 This album has very little in common with jazz idiom except for two saxmen playing: altoist Jerzy Główczewski ("Narrations") and tenorist Piotr Baron ("Consolation"). In a very daring move renown jazz pianist Krzysztof Herdzin decided to record wholly classical music for his 40th birthday. And this album shares all possible sins of classical music recordings of famous jazz musicians: it draws heavily on many influences immediately obvious to any listener to classical composers like in three part concertino clearly inspired by Prokofiev piano concertos No 3 and 4 (at least in my humble opinion). 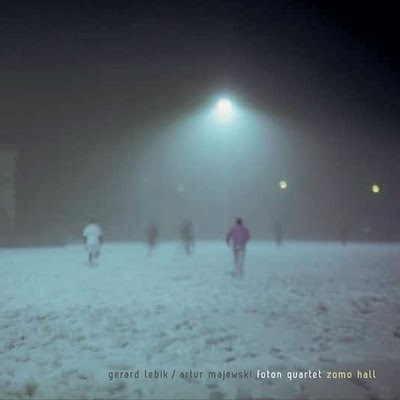 Other influences are American classical music composers (good observation by Piotr Kałuzny from Jazz Forum) like for example George Gershwin, Aaron Copland or Leonard Bernstein whose Broadway style is evident in take of "Hymn o św. Albercie Chmielowskim" (BTW a bit funny yet original idea for hymn dedicated to Catholic saint). 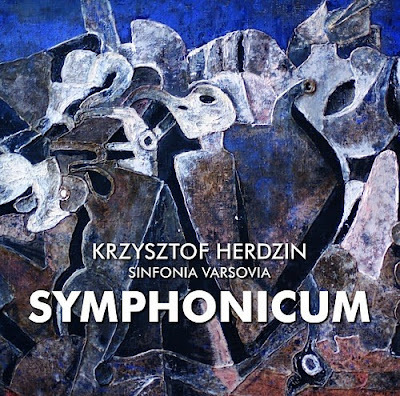 But I admit that all these sins are redeemed by incredible sound the musicians managed to achieve in this recording which is first of all due to marvelous Sinfonia Varsovia: one of the best symphonic orchestras in Poland, here graciously directed by Krzysztof Herdzin himself. Tone they managed to attain is so lavish that it simply catapult whole project to stratosphere. All other players like Malicki on piano, Baron and Główczyński on saxophones plus vocalist Jacek Kotlarski adjust to this incredible level of musicianship as displayed by Simfonia Varsovia conducted by Herdzin (one must also appreciate very high level of recording & mixing by Tadeusz Mieczkowski). So I can wholeheartedly recommend this record for any jazz lover interested in classics while as far as classical music fans it shall first of all appeal to fans inclined towards neo-clasissical idiom whom I can also recommend such Polish composers as late Penderecki, Kilar or Górecki. Please, check artist web page for sample of his music. I've read a fair share of Jazz biographies in my life, probably more than most people, but reading this one was a unique experience altogether. The life of Polish Jazz legend, trumpeter Tomasz Stanko, could easily serve as inspiration for a Dostoyevsky novel or a Polanski film, not to mention a Greek play. "Living on edge", or Desperado, is Stanko's motto, both as a musician / composer and a human being. Today, aged 70, Stanko's personal life might have taken a turn towards relative tranquility, but his creative powers remain as tumultuous as ever. 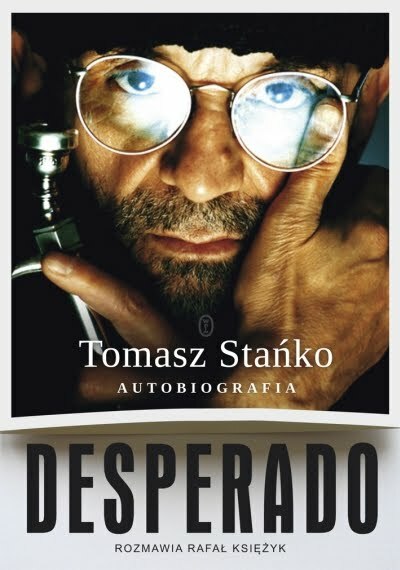 The story of Stanko's life and musical career, told in his own words, is a fascinating testimony of struggle; struggle against injustice of a corrupt social reality created by political dictatorship, struggle against personal demons, weaknesses and fears, struggle against the indifference of this world towards Art in general… and above all struggle with the price one has to pay for taking an artistic stand and persistently doing, what one's inner-self dictates. Stanko's story is also a fascinating document about the relationship between drug addiction and creativity, the struggle to stay alive and create – both physically and metaphysically. In a wider perspective, his life story is also the story of the Polish Jazz scene after WWII – the birth of the modern Jazz and Free Jazz movements, its existence under the Socialist regime and the metamorphosis it underwent following the collapse of the old system, with the new social and economic realities. The factual information contained herein included no revelations as far as I'm concerned, but my knowledge and personal involvement with the Polish Jazz scene is hardly common. Surely, for a less informed reader there is a wealth of facts here, which is staggering. For me, the experience of reading this book was similar to reminiscing stories I've heard since my childhood; a warm, fuzzy feeling of familiarity. But the pleasure derived from reading Stanko's own words, including his idioms, curses and deeply personal opinions is the real deal. Technically the book is a transcript of a series of conversations between Stanko and the Polish journalist Rafal Ksiezyk, who asks him a long set of leading questions and Stanko's answers tell the story. It's obvious that Ksiezyk did an excellent job researching Stanko's life and his questions are both intelligent and inquisitive enough to keep the story developing smoothly, albeit not avoiding unpleasant and difficult issues and agendas. The book also includes an informative section with a chronology and discography as well as numerous photographs. Any way one looks at this book, it is a masterly done piece of biography, which keeps the reader on his toes at all times. Alas, available only in Polish, this book cries out for a translation into English, as Stanko's fan base stretches today far beyond his homeland. When you choose to invite a player like Brad Mehldau to begin your first CD as a leader with five duets, you have to be cravenly commercial, a masochist, or utterly selfless. I'll take door number three. There's no denying the musical chemistry between the pianist and the 41-year-old Polish-born bassist Oles, who wrote eleven of the 12 cuts on Like A Dream. Like a lot of the material on Cryptogramophone, the tunes veer dangerously close to the cloying (perhaps the influence of the late bassist and composer Eric von Essen, whose spirit hovers over the label). But also like the Cryptos I've heard, the sensitivity and great musicianship of the players involved redeems the performances and lifts them to a fairly rarefied musical world. That's where the duets with Mehldau belong - a standard ("You Don't Know What Love Is" taken in seven), a blues, a Latin-flavored piece, and the title cut. It's a gorgeous melody placed over harmonies that move with Bachian balance and poise. That's a mode of expression that suits Mehldau, and he makes the most of it. The seven selections by two different Los Angeles quartets are scarcely less good, with Larry Koonse's wistful Abercrombian lyricism and a cameo by old friend Bennie Maupin, the highlights. But it's the writing tnd the duets that get your attention on Like A Dream, a CD that should help Oles make a name for himself, however long he chooses that name to be. The incredible Renaissance of Jewish Culture, which erupted in recent years in Poland, the country which hosted Jews for centuries and then witnessed their extermination during the Holocaust, is truly wondrous and unprecedented. 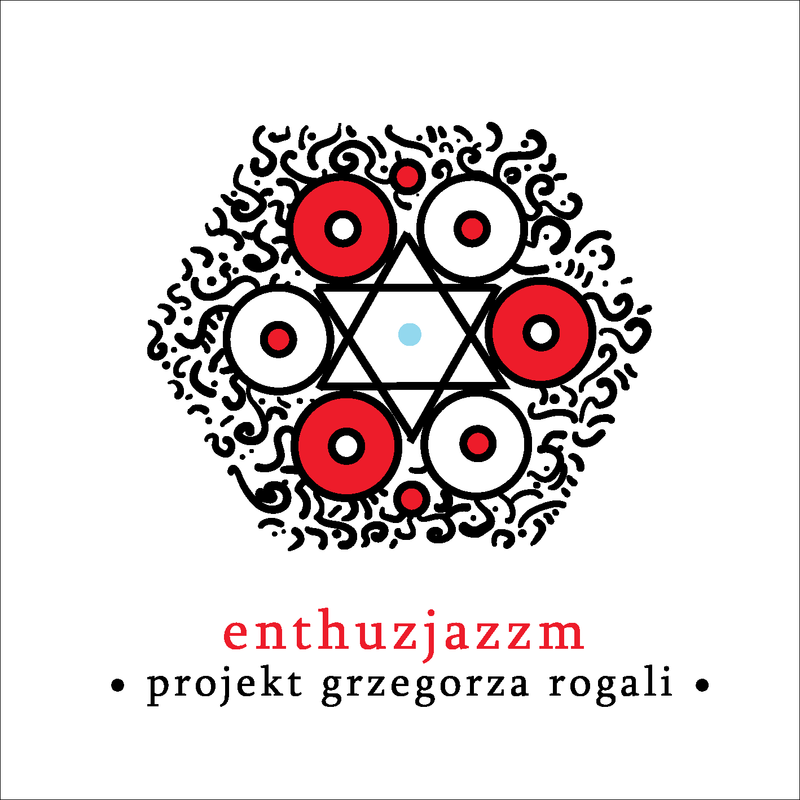 The renewed interest in Jewish Culture and Tradition has its musical sides of course, like Jewish Music Festivals and smaller, more intimate projects like this one - a Jazz quartet which brings together three Polish and one Israeli Jazz musicians: trombonist Grzegorz Rogala, bassist Lukasz Borowiecki, drummer Michal Bryndal and female saxophonist Sagit Zilberman. An oud player and a rapper guest on one track each. Together they perform seven compositions, which combine Jazz with Jewish folklore (and Polish folklore as well) – not a new concept, but certainly one which is able to produce very interesting results. 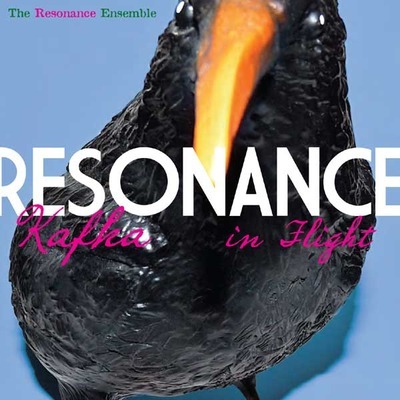 Of the seven compositions three are by Rogala, two by John Zorn (the legendary pioneer of the Radical Jewish Jazz movement), one by Zilberman and one is a standard arranged by Zilberman. The overall sound and musical approach of the quartet is very original and unique, with the two soloists improvising on top of a very solid rhythmic background provided by the rhythm section. In fact the bass player holds the music together in a truly admirable way. The quartet is not trying to play another version of Klezmer / Chasidic Jazz mixture, which has already been explored by many other ensembles, but creates their own stylistic approach, which although not completely Free, has a lot of freedom and space, which allows individual expression. Overall the album sounds fresh, interesting and unique, which doesn't happen too often these days. Definitely worth investigation!